The Portal Trail is an optional downhill from Poison Spider Mesa for expert mountain bikers only. It is extremely exposed and technically difficult. Drive north out of Moab, Utah on US 191 for about 4 miles. Turn left onto Potash Road, Utah 279. After about 6 miles, turn right at the "Dinosaur Tracks" sign and drive uphill to the Poison Spider Mesa parking area. 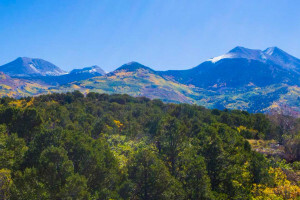 The end of the Portal Trail will meet with Utah 279. Simply turn right on the road and follow it back to your car at the parking area. Use a few Portal Trail route finding tricks: Follow the stenciled jeep markers along the mesa's slickrock section; Keep the large sandstone dome on your right. 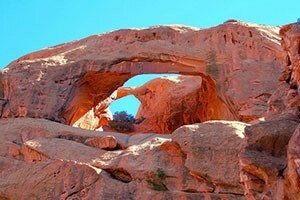 At the rim, overlooking Moab Valley, follow the singletrack mountain biking trail to your right. The first part of the Portal Trail is somewhat of a teaser because of its pitch and condition. Immediately following this, beware of extreme exposure and technical ledges and turns. 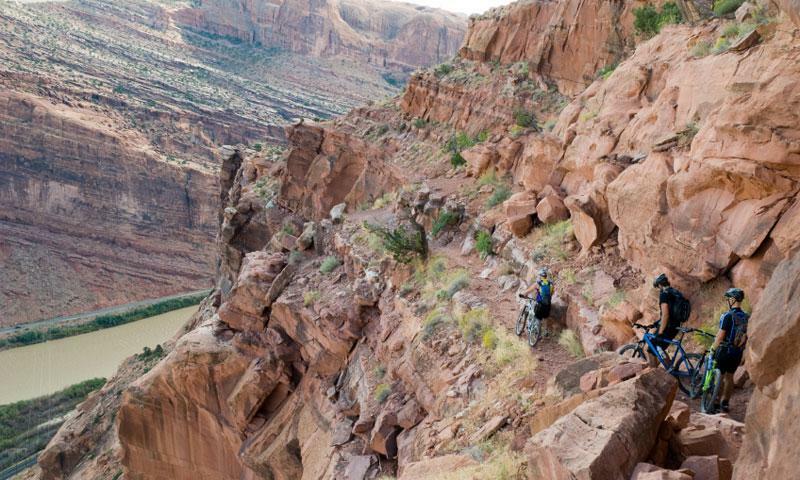 Because the BLM considers this one of Moab's most dangerous trails, they have marked it well. Please take the signs seriously and when in doubt, walk your bike.